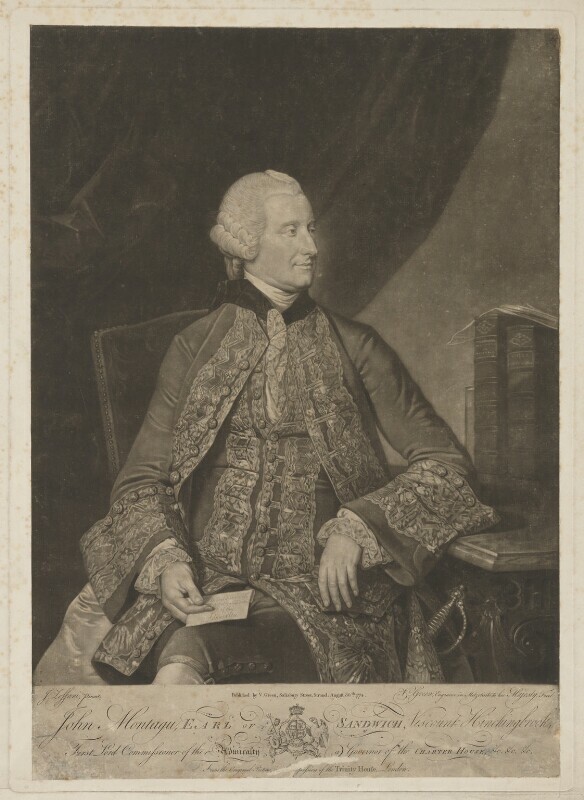 Valentine Green (1739-1813), Mezzotint engraver. Artist associated with 149 portraits, Sitter in 3 portraits. Johan Joseph Zoffany (1733-1810), Painter of portraits and conversation pieces. Artist associated with 46 portraits, Sitter associated with 11 portraits. Philanthropist and reformer John Howard is called before the House of Commons Select Committee to give evidence on the shocking conditions in prisons across the country. Young Tahitian Omai arrives in England after making contact with Captain James Cook on his second voyage. He is introduced into London Society by Joseph Banks and is much admired. Coercive or 'Intolerable' Acts are passed in response to the crisis in the American colonies. Philosopher and chemist Joseph Priestley isolates oxygen in the form of a gas. Artist Thomas Gainsborough moves from Bath to set up a studio in London. Royal Crescent, Bath, designed by John Wood the Younger, is completed. Methodist preacher John Wesley publishes his pamphlet Thoughts Upon Slavery which argues against slavery. Johann Wolfgang von Goethe publishes his romantic novel, The Sorrows of Young Werther, bringing him an immediate European reputation. In retaliation for the Boston Tea Party, the port of Boston is closed under the first of the British government's Coercive Acts. Delegates from twelve American colonies meet in Philadelphia and agree not to import any goods from Britain. Death of Louis XV of France. Louis XVI succeeds.